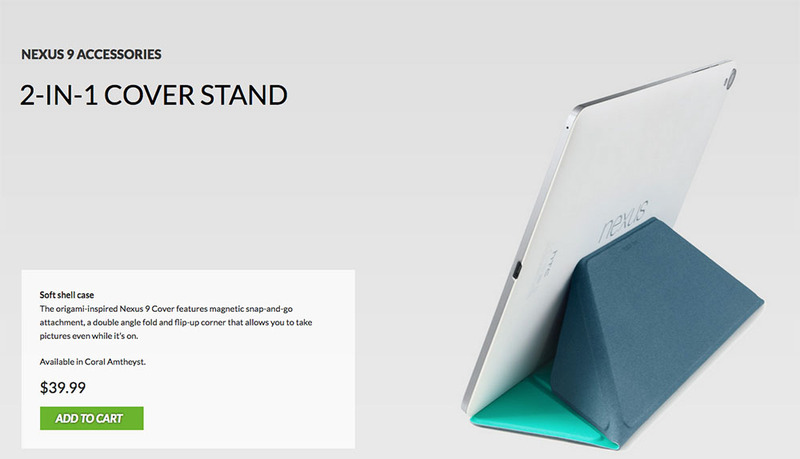 The Nexus 9 “Magic Cover” or “Cover” or “2-in-1 Stand,” an accessory that I have been impatiently waiting for because I want that magnetically multi-fold magic-ness, is finally available, though only in one color and only directly from HTC. 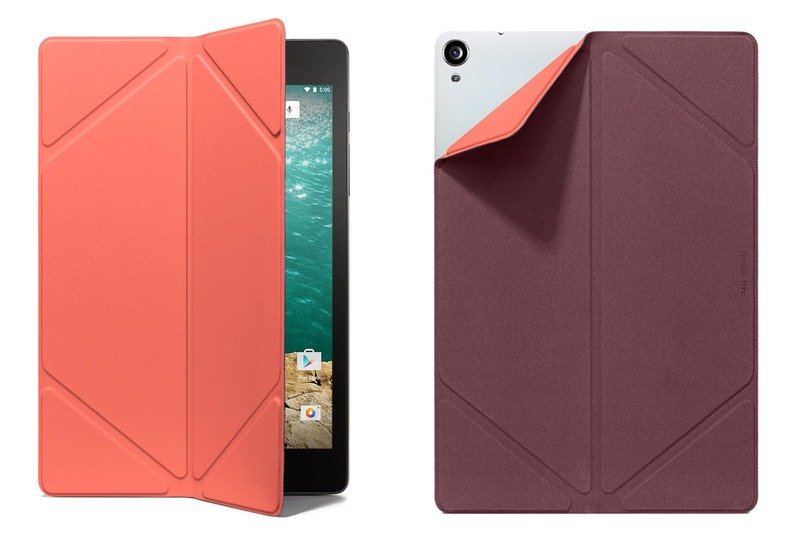 If you cruise over to HTC’s Nexus 9 page (link below), you can buy the Nexus 9’s Cover in Coral Amethyst (“Amtheyst”) for $39.99. The Magic Cover certainly isn’t cheap, but it appears to be reversible and attaches magnetically without hinges or plugs or folding pieces. Basically, it’s either a front or back cover that slaps onto the device as a cover via magnets. It also folds a variety of ways to act as a multi-angle stand. It looks like a fantastic, minimal cover. Google Play and Amazon have listed out the Cover in a variety of colorways (black, lime stone, coral amethyst, mint indigo) since the device launch, but they have yet to go in-stock. This Coral Amethyst version at HTC’s site is the first time we have seen the accessory become available for purchase. According to Google Play, we should also see black and natural leather options at some point as well. Maybe. Update: All of the covers in all four colors are now available from Google Play.